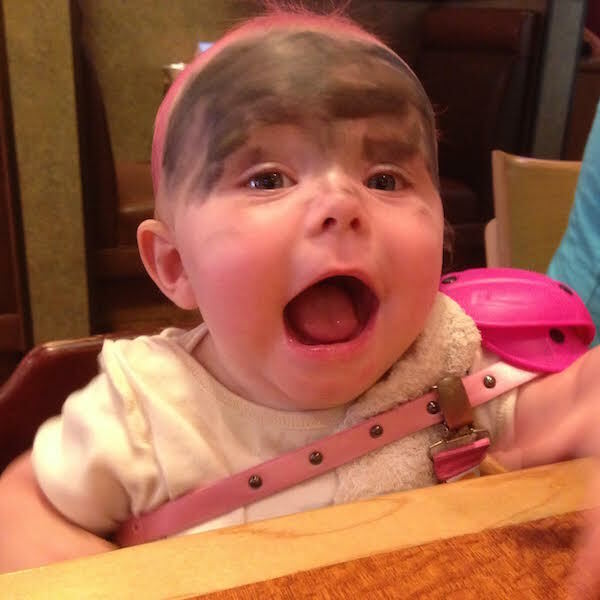 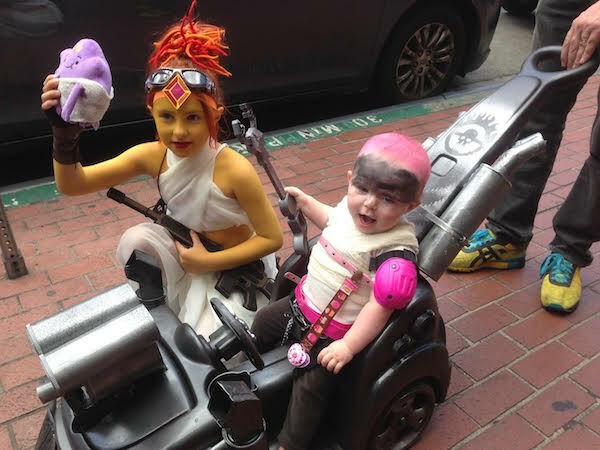 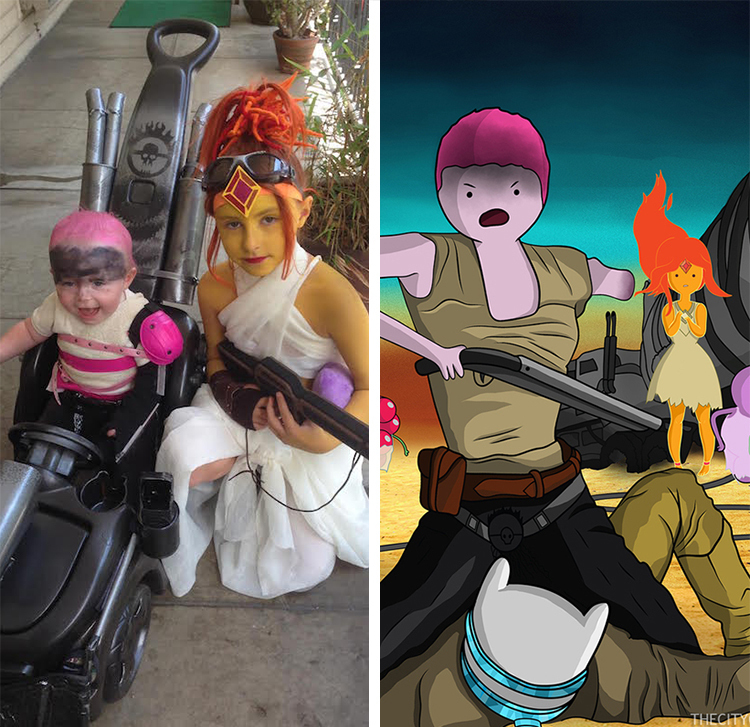 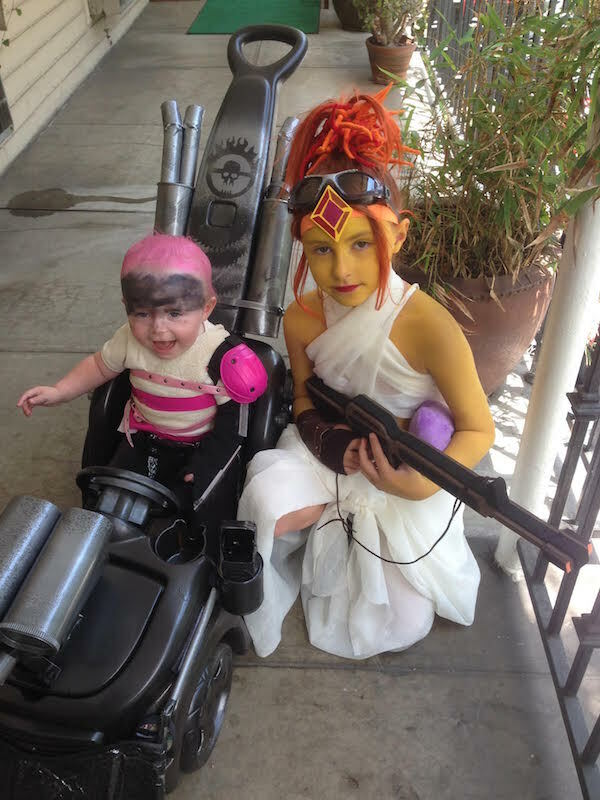 Awesome parent Amy Allison recently dressed her two cute daughters (Echo and Yoko) up in amusing costumes portraying Princess Bubblegum Furiosa and Flame Princess Capable, two characters from a series of Adventure Time and Mad Max:Fury Road mashup illustrations by artist Ryan May of City of Pyramids. 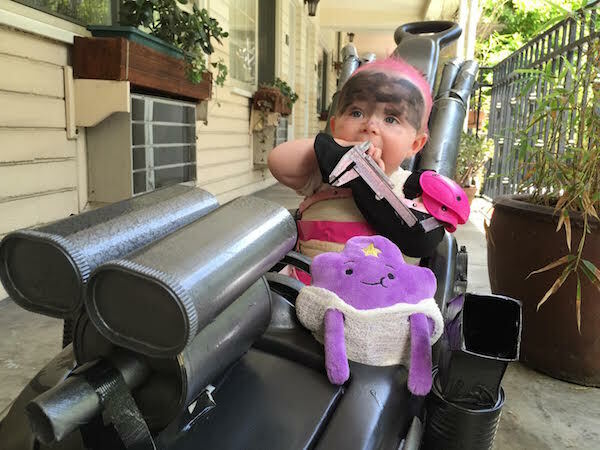 Little Echo is ready to take on the world in her custom War Rig. 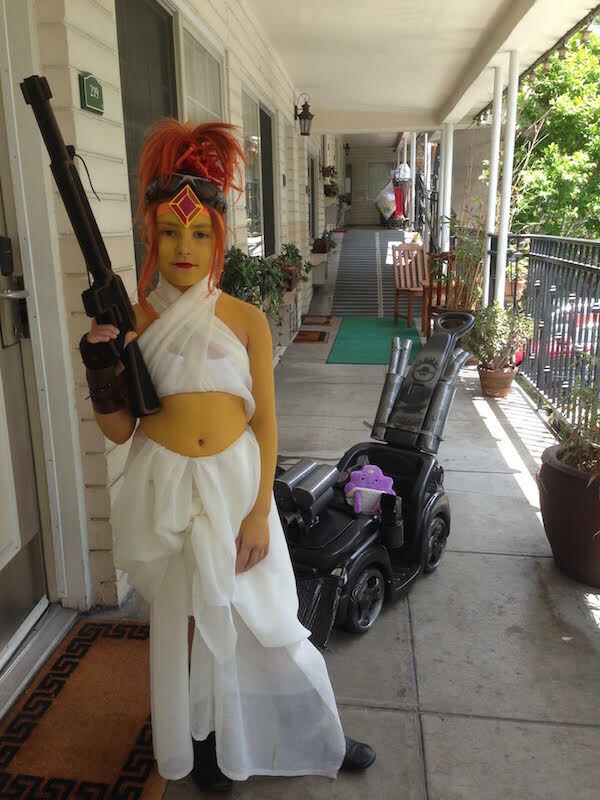 We previously wrote about Ryan May and his full series of mashup drawings, which are currently available to purchase from his online store.